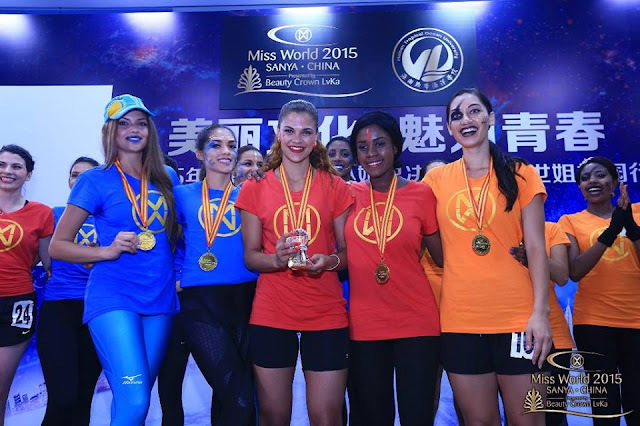 Steffi van Wyk, Miss Namibia, emerged victorious at the final of the Miss World Sports Challenge Event in Sanya earlier today. She won all the events she took part in and earned herself some valuable points for the Miss World leaderboard. Miss Seychelles finished in second place and Miss Guam finished in third place. The delegates from Kazakhstan and Samoa finished fourth and fifth respectively. Photo courtesy of Miss World Organization!